Holy Trinity is a lovely Gothic revival building at the heart of a cluster of untouched Victorian cottages. Built in 1851 under the auspices of the local Talbot family, Holy Trinity was established in the Tractarian tradition of the Oxford Movement and maintains some of its Anglo-Catholic style, mostly witnessed in the ornate decoration of the Sanctuary. The church is open on most Saturdays and Sundays, and you are welcome to look around. Please do come and use this beautiful space to take time out of your busy week in peace and tranquil meditation. If you find the church locked when you would like to visit ring Marielou Linklater on 07860 436668 who will do her best to help! Services: Apart from Church Festival Services, Holy Trinity normally holds Parish Communion, Common Worship Order One (Traditional Language) at 9.15 am on Sundays, on a regular basis. See the diary for details. Location: Holy Trinity is the southernmost church of the Benefice it can be found just over two miles south of Edenbridge at the centre of the village of Markbeech. Parking: either on the road, outside the village hall opposite, or in the far end of the car park of the Kentish Horse public house, behind the church. If you would like more information on Holy Trinity, a booklet is available from inside the church, which is extracted from the “Mark Beech the unknown village” by Timothy Boyle, and which if you would like to read more about Markbeech itself, is available from Edenbridge Bookshop. 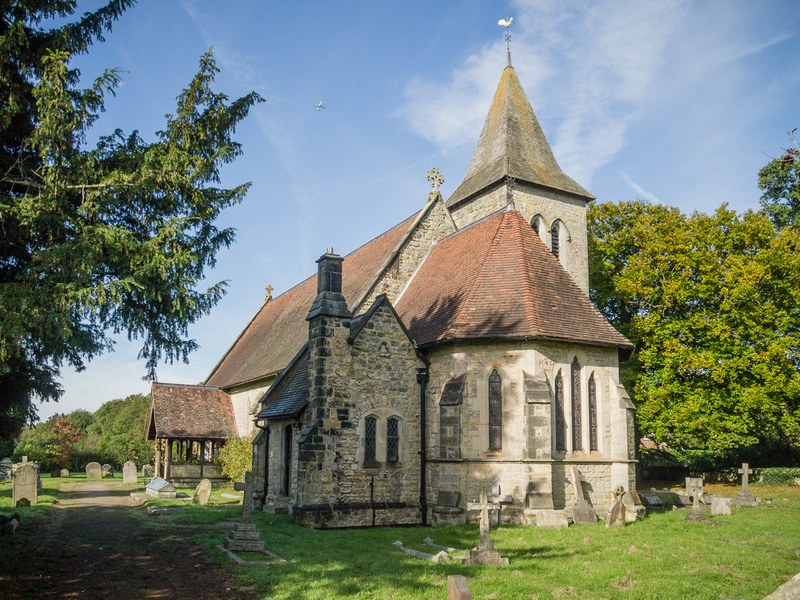 Information and news from the benefice of Hever, Four Elms and Markbeech churches in the Weald of Kent. The story of Easter, told very beautifully by the children of Christ Church Tunbridge Wells.